The media has been all abuzz about a solution to a problem that is near and dear to us beekeepers. NBC News titled their online article Scientists Have Some Wild Ideas for Solving Our Big Bee Problem, referring to colony loss. You may think they are talking about a solution to pesticides. Or Varroa mites. Or habitat loss. Or the climate change crisis. Or even the loss of pollinators in general, including monarch butterflies. No, it’s nothing as simple as that. Their solution is drones! No not those drones, not the ones whose sole purpose in life is to deflower a young virgin of royal blood. Not the drones that would spend the rest of their time drinking beer and watching football, if only they could. It’s the other kind of drones. You know, like the remote-controlled airplanes, big and small, that fly around without pilots. But these drones are smaller than the ones that drop bombs, even smaller than the ones that teenagers fly around looking for sunbathing neighbors. The drones we are talking about here are about the size of butterflies. 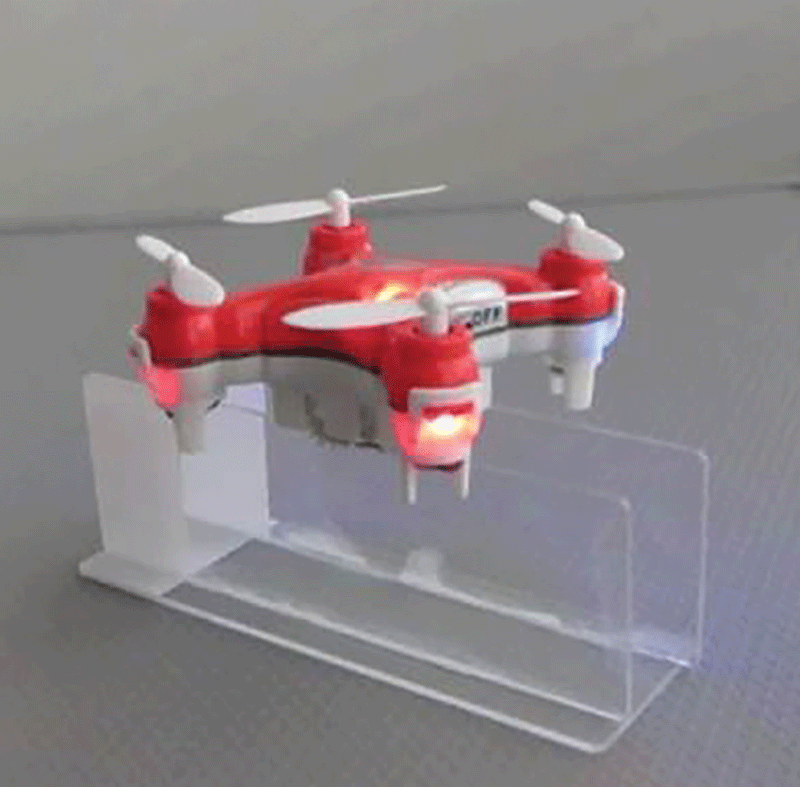 Eijiro Myiako, along with his colleagues at Japan’s National Institute of Advanced Industrial Science and Technology, has invented a very tiny mechanical drone (as opposed to a drone bee). 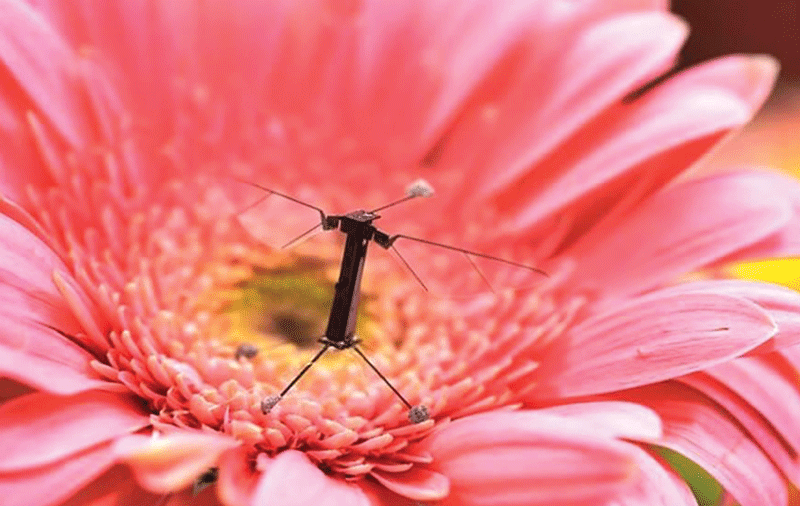 Its job is to fly around flowering plants, huffing and puffing, spreading pollen around. What?! Hey, I didn’t make this up. If their purpose is to pollinate, does that make them worker bee wannabees? Now never mind the practicality of this on a large scale among the thousands of almond trees in California alone. The very thought of drones being the ones that do the pollinating instead of workers kind of turns my brain inside out. In my way of thinking, the only way to envision drones taking over the pollinating role of the workers would be if some of them have gender identity issues. Not that there’s anything wrong with that. Are you following me so far? Now I’m not one to scoff at technological wizardry. New science may ultimately save the planet. But as a pollinating “solution to the bee problem,” this mechanical solution sounds pretty farfetched. Did anyone ever tell these guys that it takes zillions of bees to pollinate all the crops that need it? And what about all the plants that are not income generators? Maybe a new department of the federal government could be started to buy mechanical drones and train remote pilots to pollinate all the flowering trees, wild flowers, and weeds, once all the bees are gone. This could generate a whole new cottage industry for drone pilots, grant writers, and drone wranglers. It’s like saying, “No problem if all the honey bees in the world are wiped out, almond growers, cause we’ve got you covered!” What audacity! 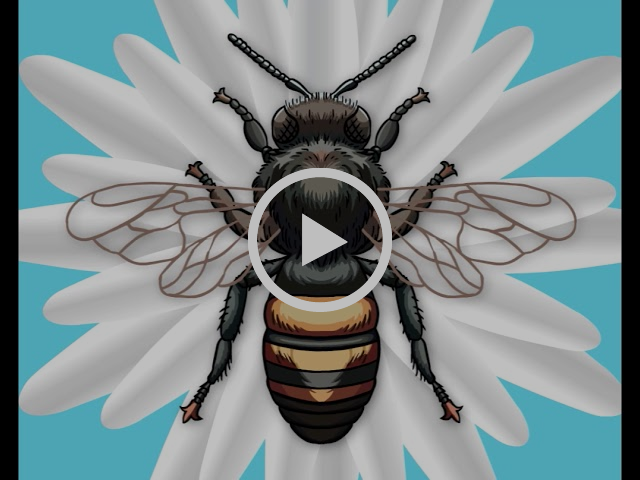 Honey bees are one of nature’s most perfect creatures, who perform miracles every day, working tirelessly to collect pollen and make honey of untold value. And when they aren’t working, they wax prosaic (yuck). 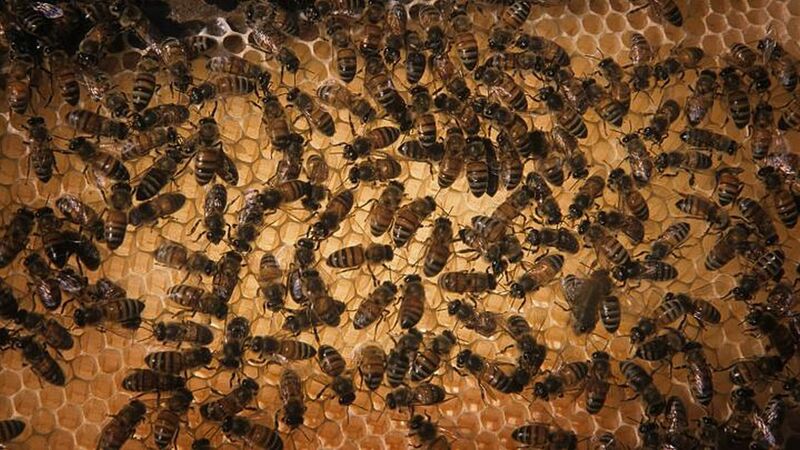 Whole businesses and hobbies are built around the beekeeping industry. After all, they give retired federal workers a new lease on life speaking at bee schools. And they give kids great fodder for school posters. To feel the breeze on a Spring morning with bees and other pollinators flying around trees bursting with pink or white flowers is to feel the essence of nature. Do the worker bees feel the same magic when they are foraging, or do they just think of it as going about their day job? And what would they think about being downsized or replaced with robots? If we think our world will be just as rich with no bees but plenty of mechanical pollen gatherers, what does that say about us? If we humans disappeared or stopped performing, would mechanical drone-people fill the void? Maybe bees aren’t here for us, maybe we’re here for them. It’s difficult for me to wax prosaic when I don’t have wax glands. So I’ll just spit it out: honey bees are cool. They are the jazz musicians of the animal kingdom. I like the fact that their very being brings joy and pleasure to gardeners and beeks like me. They even bring peace to countless people, from wounded warriors and incarcerated felons. My wife and I had a day for the neighbor kids to come over and see the bees, who thought dressing up in their borrowed bee garb was half the fun. One little four-year old boy asked if he could kiss a bee. He wouldn’t have asked if he could kiss a mechanical drone. Without exception, they were all fascinated and had a story to tell their friends and parents. No doubt amazing scientific achievement and creative imagination went into creating flying mechanical drones to “solve the bee problem.” But they will never replace the smile on the face of a child who sees a real bee carrying pollen into her hive. Nor will they replace the contortions I undergo when I lie on the grass trying to take an extreme close up of a worker bee on a dandelion. CATCH THE BUZZ – Bees On The Road Need More, and Better Food. We Knew That, But Here’s Proof.